VANCOUVER — Rally the Raptor made his first public appearance Saturday, all in an effort to help out a local Little League in need. 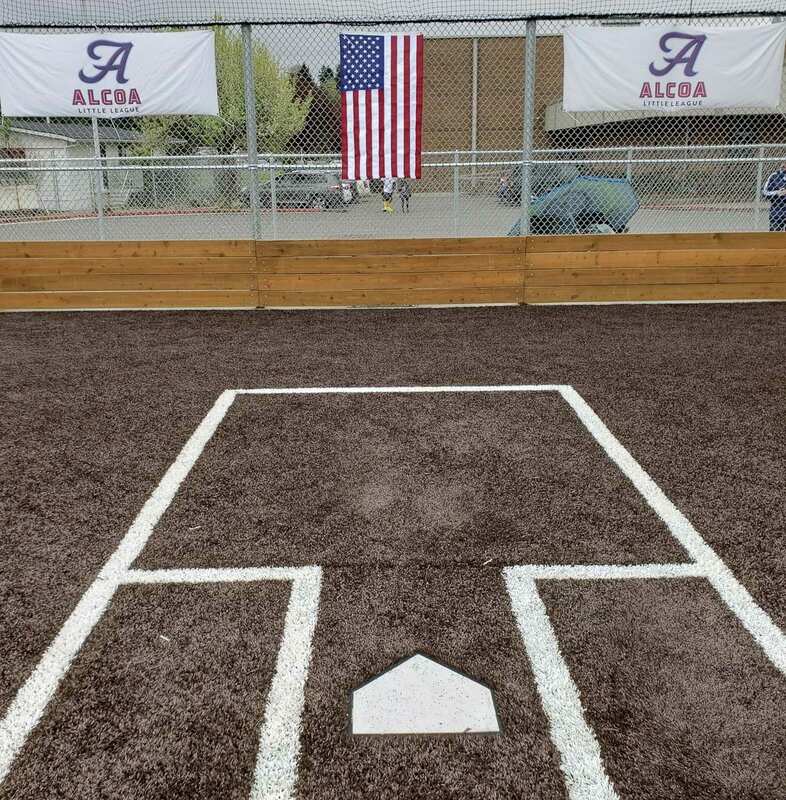 Alcoa Little League is indeed playing baseball this spring, just weeks after a devastating fire destroyed most of its equipment. 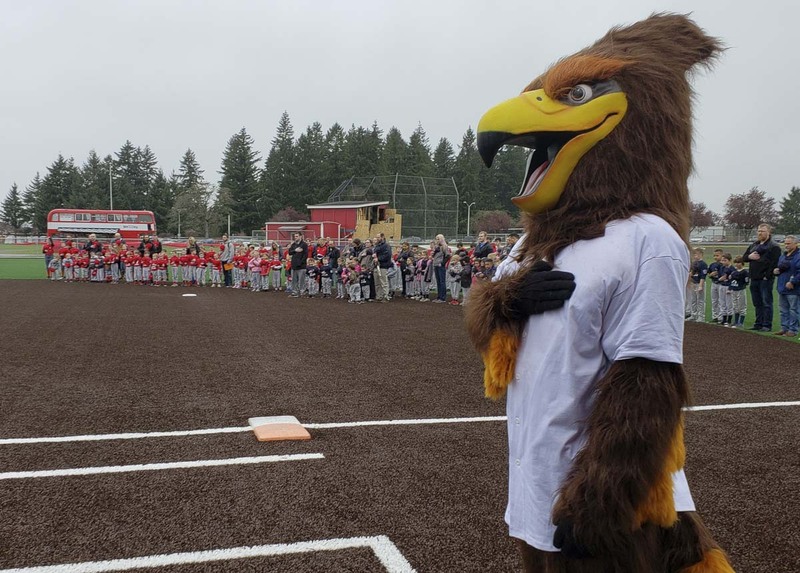 The league held its opening day ceremony Saturday, using Fort Vancouver High School’s new softball field as the centerpiece. Just a few feet away, Alcoa’s main field remains off limits and the burned-out building behind home plate is fenced off for safety reasons. The league lost so much on March 27 — five pitching machines, one set of uniforms, team bags, umpire gear, baseball, a freezer, field maintenance equipment, merchandise, the controllers for both scoreboards, plus pictures and plaques displaying its history — but in the days following, the league gained an even deeper appreciation for the local community and the baseball world. 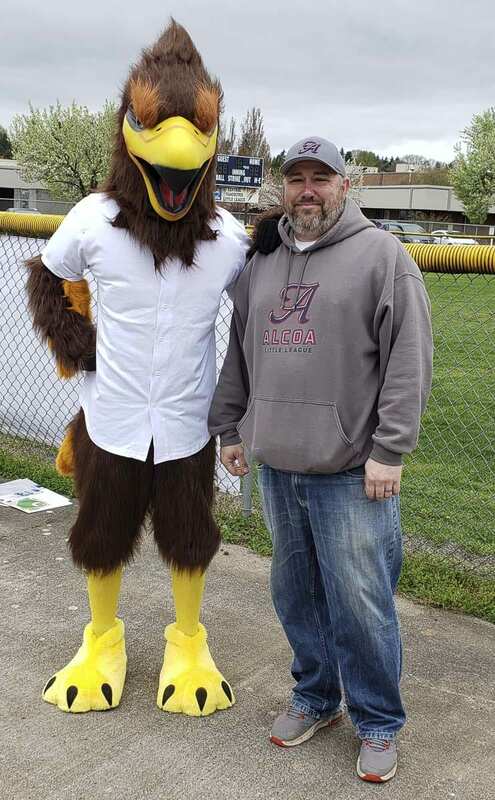 Rally the Raptor is the mascot for the new Ridgefield Raptors, a summer wood-bat league for college baseball players. The franchise will play its inaugural season beginning in June. The Raptors wanted to be there to help Alcoa celebrate its special day, a day that some were not so sure would happen this year. Adidas donated catching gear, batting helmets, bats, bags and more. 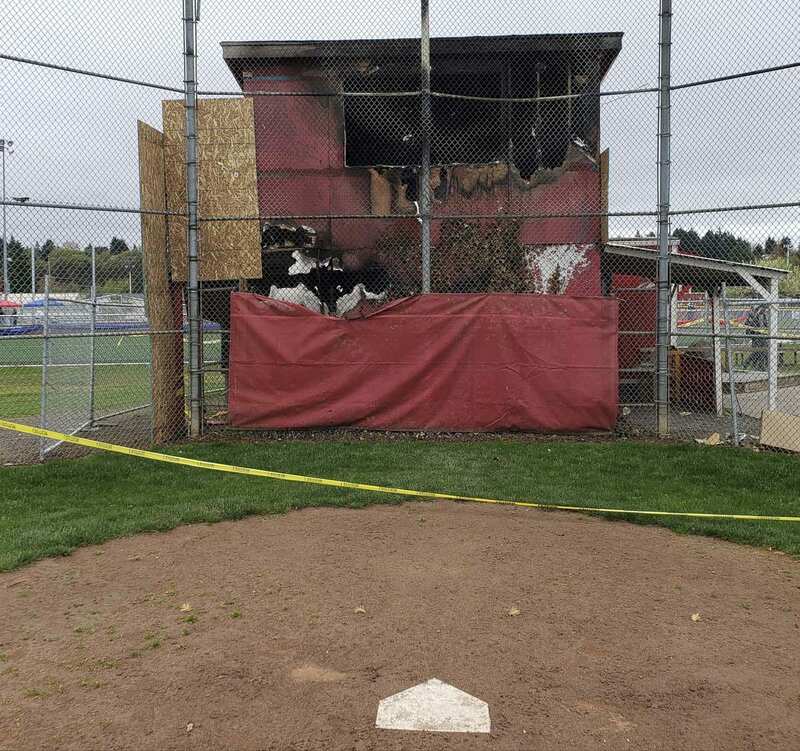 The International Association of Fire Fighters, Local 452, donated a pitching machine. The cause of the fire remains under investigation. And as of this past weekend, the field right next to that building is off limits. However, Alcoa Little League is playing ball, using the other fields at its facility on the grounds behind Fort Vancouver High School. This is the third year Cvitkovitch has been on the board and first as president. He said he could not have made it through the past few weeks without the help of everyone on the board and the many, many volunteers. The Raptors helped out by bringing smiles to many faces with the first public appearance of Rally. 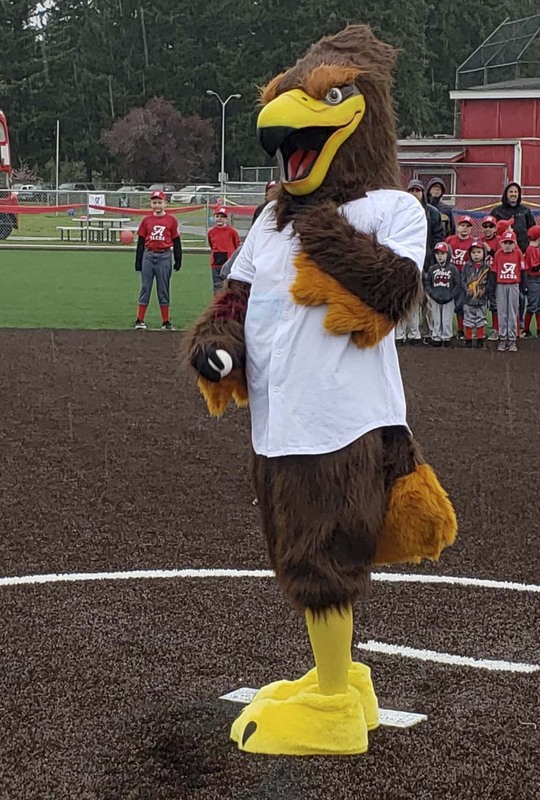 According to the team, Rally was “born in the Ridgefield Wildlife Refuge” and now flies around and lives at the Ridgefield Outdoor Recreation Complex. On Saturday, he took a flight to Alcoa Little League and ended up dancing with young baseball players, giving high-fives (or would that be high-feathers?) and posing for pictures. He also threw out a first pitch. Any first pitch was not a guarantee at Alcoa Little League a few weeks ago. As Cvitkovitch said, Alcoa is still going strong. “It’s all about the kids,” he said.